I had to come back to Econsultancy and write about this, as 1 year ago I wrote the article: Companies respond to just 5% of question on social media. Get it? Only 5% of all questions got answered. REALLY crazy! Well, the market has evolved a bit, and based on our study, companies now respond 30% of all user questions. 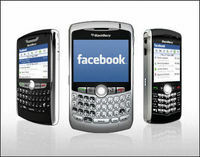 Is Facebook really weak in mobile with 488m active users? Different news outlets have been discussing if Facebook is weak in mobile, and that it needs to do more to address this issue. The question here is, if Facebook is actually really weak in mobile. 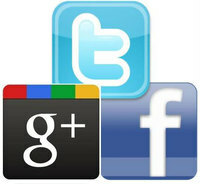 Which social networks should you focus on in 2012? With Google+ and Twitter rolling out updates like crazy in the last week, it’s a good time to compare growth of individual fan communities of the top brands on these social networking platforms. You probably heard many cases of how social media can negatively influence companies, and how users ‘bragging’ on social media can become a catastrophe. It’s not only companies, social media is also about influencing countries and their governments. It is absolutely clear, that during the past years, social media got people and corporations closer to each other then anything, it allowed us to communicate faster, communicate more effectively with each other. The biggest mistake from marketers on Facebook today? Ignorance! Yeah, you might think this controversial headline will get me some likes and tweets (well, you bet it will! ), but the matter of fact is, that the biggest mistake that marketers on Facebook make is indeed ignorance. Are you already local on Facebook? How about being hyperlocal? In this post, I’ll be explaining why your company should have a hyperlocal social media strategy. Which Facebook marketing metrics matter the most? In my first contribution to Econsultancy two weeks ago, I wrote about how opening a Facebook page is like opening a flagship store, and I would like to follow-up on that article that stressed the importance of Facebook page management. A question I’m often asked by clients is: how many people can I get from Facebook to my website? However, this is the wrong question, since it`s not only the visitors that a Facebook page can generate, you have to focus on different areas.